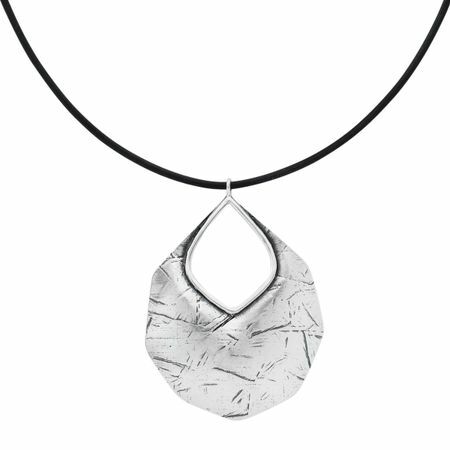 The Badge of Beauty Necklace features an etched sterling silver pendant on a genuine leather cord for style that values classic trends that'll never fade. Pendant measures 2 3/16 by 1 11/16 inches. Necklace measures 18 inches long, plus a 2-inch extender for adjustable length, and features a lobster clasp.